Daniel Josefsohn war einer der wichtigsten deutschen Fotografen. In den vergangenen Jah­ren hat der wildeste unter Deutschlands Bildkünstlern die Gratwanderung zwischen Provokation und Humor, zwischen ironischer Setzung und politischer Anstiftung austariert, um unbequem zu sein und zugleich dafür geliebt zu werden. Daniel Josefsohn verstarb am 13. August 2016. Wie zu jeder TYPO, steht uns auch dieses Jahr Astrid Geese und ihr Team als erfahrene Simultandolmetscher von Englisch nach Deutsch und Deutsch nach English zur Verfügung. Die Kopfhörer-Ausgabe befindet sich direkt neben der Garderobe. 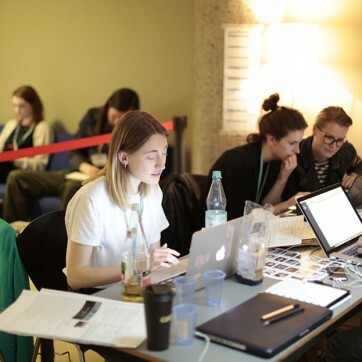 /// She started translating for TYPO at our first conference and we are happy to welcome back Astrid Geese and her team to simultaneously transfer the talks from German to Englisch and vice versa. You get your headphone next to the cloakroom. 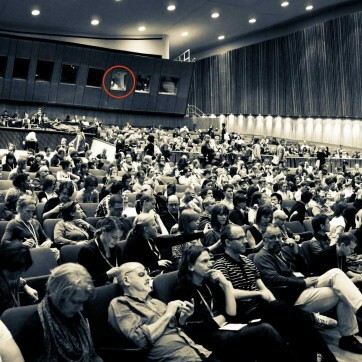 In her talk at TYPO Berlin 2015, Tina shares stories about how her labors of love (aka side projects) redefined her career. She urges us to embrace generosity and kindness in the work place, and explains why every business needs a confetti drawer. 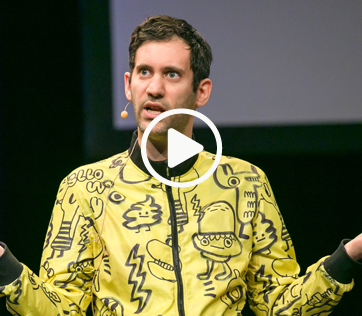 Jon Burgerman’s engaging, surprising and highly amusing talk at TYPO Berlin 2015 looks to answer some pressing questions: is the creative pursuit like a sport? What are the rules of the game? What does winning even mean? And what happens if a ferret invades the pitch? 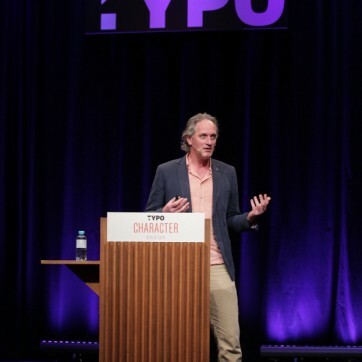 In his presentation at TYPO Berlin 2015 “No risk no fun – bright sight of typography for younger and older”, Jan Bajtlik talks about the five key principles that took him to the top, all of which are adapted from his other passion: mountaineering. 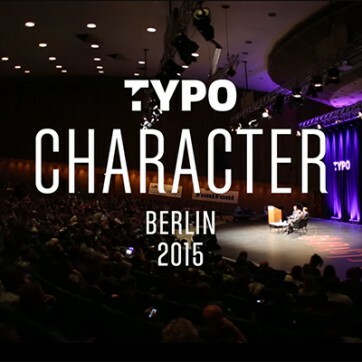 Watch the official video from the graphic and design conference TYPO Berlin 2015 »Character«. 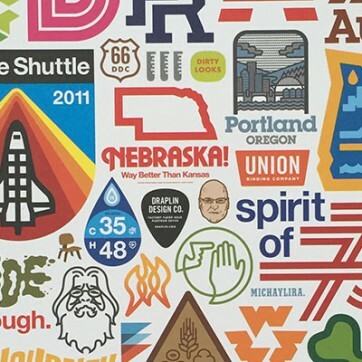 We have cleaned up our TYPO archives and found 10 Aaron James Draplin posters, that we want to give away now. They got lost on the way to Berlin, were eventually found by KLM and then sent to TYPO Berlin 2015. The man for bold colors and dangerous ideas collected every little logo he made, wordmark and whatever else he could fit into it. 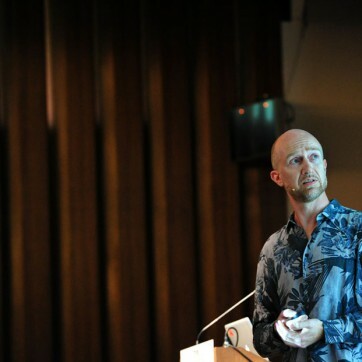 Here’s a little collection of links to some feedback on TYPO Berlin 2015 we have gotten so far. We will continuously update this post as more reports come in. Alle Beiträge online! /// All posts online! Geschafft! Endlich sind alle Beiträge unseres Editorial Teams online. Viel Spaß mit über 70 Zusammenfassungen von allen Veranstaltungen der TYPO Berlin! /// Done! Finally all posts by our editorial team are now online. Have fun with more than 70 summaries of all TYPO Berlin events! Please scroll down for english version. A panel discussion which took place in Barcelona last year has triggered a movement for a better user interface for type in Adobe applications. 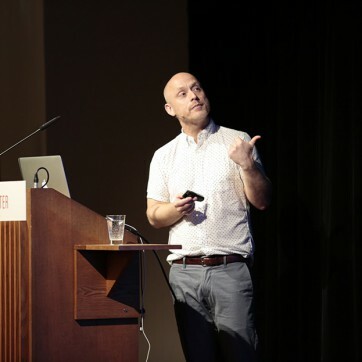 A new group of experts gathered as the Adobe Typography Customer Advisory Board and is ready to tackle the issue. Former dancer, wannabe photographer, reluctant runner and these days UX/UI designer. 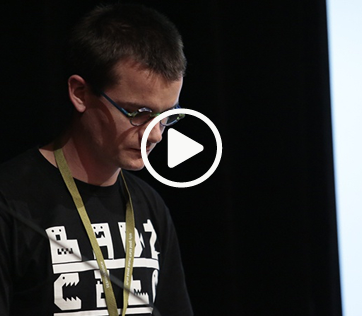 This is one man’s story about a few things he learnt going from dancer to designer. Curtain call Kenneth Jansson. 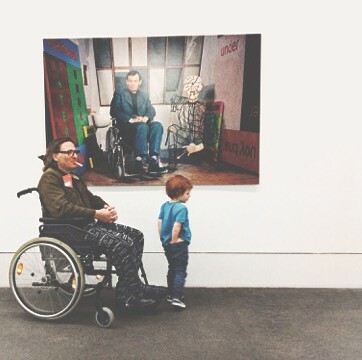 Erik Kessels is a true creative beyond the scope of categories. The passionate Dutchman is intrigued by the odds and absurdities of everyday life and knows well, how to turn them into catchy campaigns and successful publishing projects. 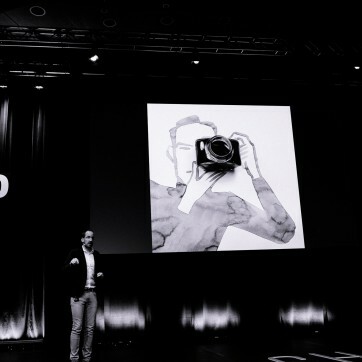 At TYPO 2015 he takes his viewers on a joyful journey to the world’s worst hotel and weirdest photo albums.